It's not often easy to spare the time on business road trips to stop and see the sights along the way, especially if the weather is threatening and you really feel as if you should get home just as fast as you can. However, I couldn't resist a stop at the "Pioneer Auto Show, Prairie Town and Hallmark Store" in Murdo, South Dakota. I know that sounds like an odd combination, but it really is worth a stop. Especially because there is also a wonderful little diner attached, where I had one of the best meat loaf specials I have ever had. As you may know if you've been reading the blog or following me on Facebook, I made a road trip to Brandon Manitoba to represent Nebraska at the Royal Manitoba Winter Fair. It's about 700 miles nearly straight north of where I live, up Highway 83, then over to 281/3/10. I actually figured out that I had gotten lost on the way up there, staying on 14, when I should have jogged over to where 83 continued. I wondered why the road was much worse than I had expected... But, I made it safe and sound, both there and back. I had stopped in Murdo to fuel up on my way north, but didn't have time to stop, so on my return trip when I was considering where to stop for lunch, I knew Pioneer Auto had to be it. 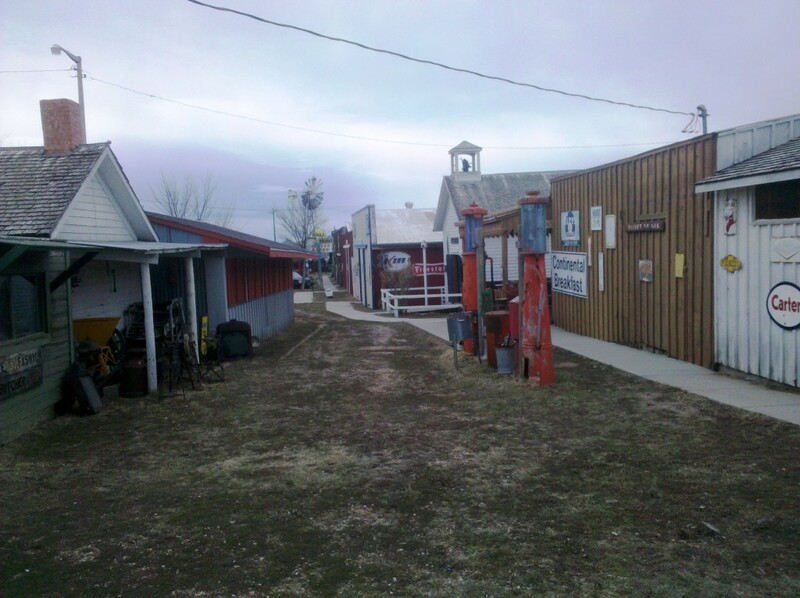 Murdo South Dakota is at the junction of Interstate 80 and Highway 83. If you've ever road tripped to the Black Hills from the east, you've driven right past it. Next time, be sure to stop! 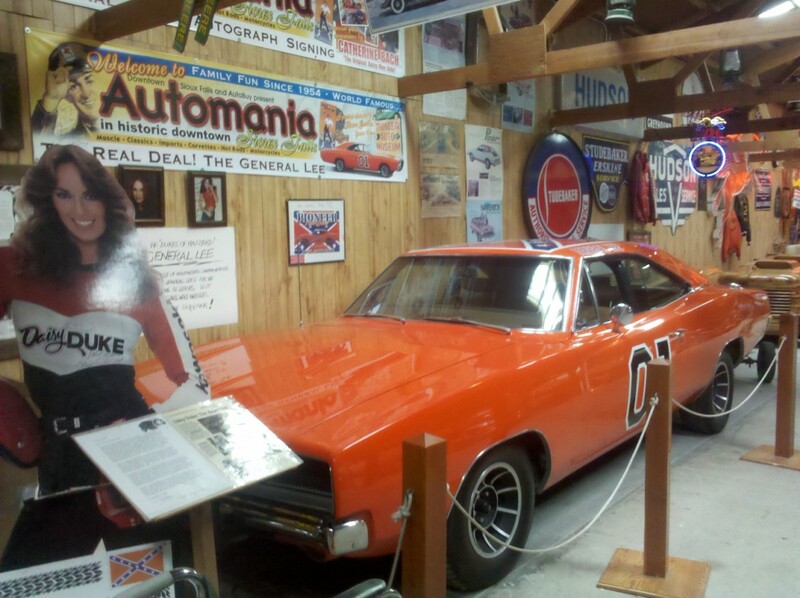 The cornerstone of their collection of more than 500 vehicles is the original General Lee from the television show Dukes of Hazzard. It is in a prominent place just inside the door, but they have so many items in their collection that it is surrounded! 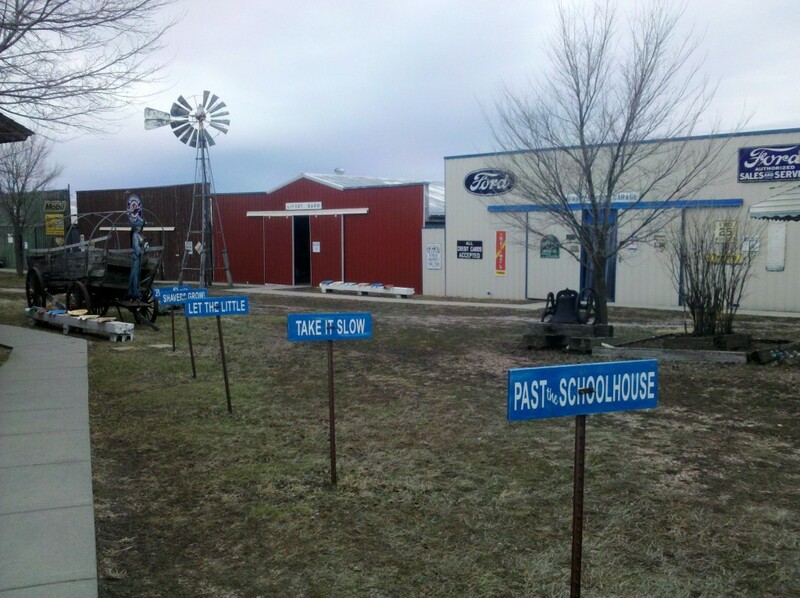 The population of Murdo is a mere 679, which means the artifacts in Pioneer Auto easily outnumber the people. There is a sign in the diner that reads "You're among friends" and they really make you feel that they mean it. The 32 buildings that make up the attraction (I hesitate to call it a museum because that makes it sound dull and boring, which it's not! 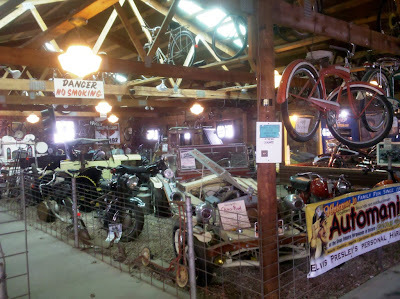 ), house everything from 250 antique cars to cycles, farm equipment, toys, juke boxes, a rock and gem collection, and just about everything you can think of. 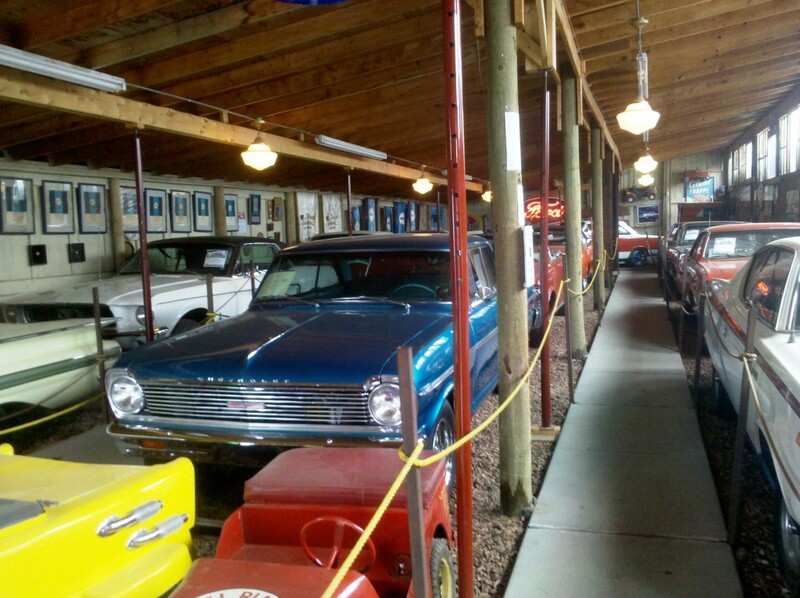 Some of the cars include a 1902 Jewel, 1902 Curved Dash Oldsmobile, 1906 Ford Model N, 1949 Nash 600 "Bathtub", 1961 Octaker "Eight-Wheeled Car", and many more too numerous to mention. Then you head outside, which wasn't much fun at near freezing with a 30 mph north wind. However, I vow to make another road trip when it's much nicer. 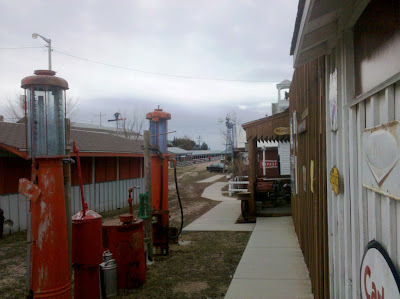 There is a complete antique town where you can walk the sidewalks and experience the "innovations" that paved the way for all of our modern conveniences. It just seems to go on and on. Of course, I just rushed through it, barely peeking into some of the buildings, so you can imagine how much I missed. Admission in the winter is just $7.50, and in the summer when you can make a leisurely visit and enjoy all of the artifacts, it's $10.00. Murdo has a Super 8 motel, and a campground, so it's easy to make it an overnight stay. May might be a really good time to visit as they have organized a Collector Car Auction, swap meet, car auction and car corral. It's called "Murdo in May". Thanks for stopping by! Wherever you're traveling, be sure to stop and have coffee somewhere interesting!